Stone is such a dominant feature of so many country gardens. Unlike many landscaping firms, who have to contract out the stonework aspect, we have a team of specialist masons to undertake this work. Our clients have informed us that we are unique within the South West - in terms of offering quality of craftsmanship in conjunction with the ability to undertake and project manage larger ventures - and we believe this to be true. 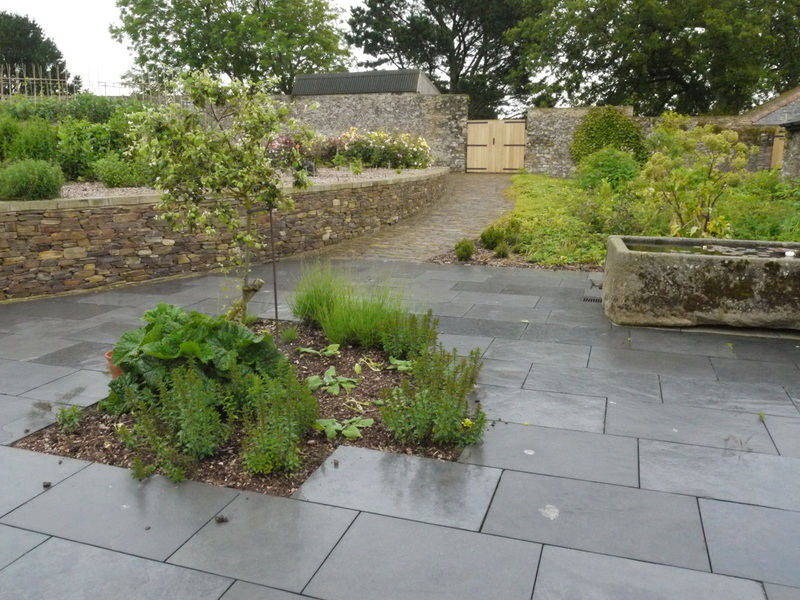 Our gallery demonstrates some of our recent garden design and landscaping work, and includes everything from stone-walling and paving, to timber structures, ponds and water features. We happily undertake everything from a small garden wall, to project-managing garden design and landscaping contracts spanning several years. We are also able to construct gardens without the need for formal designs. We provide free, no obligation consultations, where we can discuss initial design ideas - or for the larger projects, recommend and work with reputable garden designers and architects. Although we are based in Gunn, near Barnstaple in North Devon, we also have a base near Exeter, which gives us ideal access to all parts of Devon, including Barnstaple, Bideford, Exmoor, South Molton, Tiverton, Exmouth, Exeter, Sidmouth, Honiton, Crediton, Newton Abbot and the South Hams.